Thinking of Adding CBD Oil into Your Daily Regimen? - Medical Marijuana, Inc. In recent years, more health-conscious individuals have discovered how well cannabidiol (CBD) oil fits into their daily wellness regimens. CBD oil supplements encourage balance in your body’s systems and add important nutritional elements to your diet to promote healthy living. CBD oil is extracted from the stalk and seed of hemp plants. This pure CBD oil is derived from hemp varieties that are abundant in CBD, a naturally occurring compound that interacts with your body’s natural systems. Because CBD from hemp is by definition not a controlled substance, CBD hemp oil’s variety of health and nutritional benefits are available to everyone in all fifty U.S. states, no medical cards or prescriptions necessary. CBD hemp oil complements a wholesome diet and a regular exercise routine to further contribute to the achievement of complete health. The supplement’s balancing properties and nutrient composition make it beneficial for promoting wellness, even if you’re healthy. CBD interacts with your body’s endocannabinoid system, a signaling network responsible for controlling functions like sleep, appetite, mood, and immune response. The body creates its own naturally occurring cannabinoids, which interact with the endocannabinoid system’s cannabinoid receptors to regulate these functions. By supplementing these endocannabinoids with hemp-derived cannabinoids like CBD, we can help further encourage our endocannabinoid systems to achieve homeostasis within the body. Hemp oil also adds polyunsaturated fatty acids, essential amino acids, fiber, terpenes, and chlorophyll to ensure that your body obtains the dietary requirements that are important for your body to function efficiently. CBD is a non-psychoactive compound, making CBD hemp oil a beneficial supplement for people of all ages. 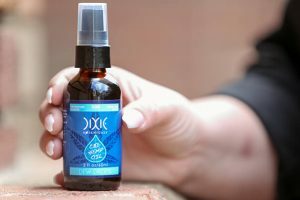 It also means you can seamlessly incorporate the daily balancing and nutrient benefits of hemp oil without having to deal with any temporary distractions that come along with a euphoric high. Supplementing your daily wellness regimen with cannabidiol is simple, thanks to the available wide array of CBD oil products that are now available. 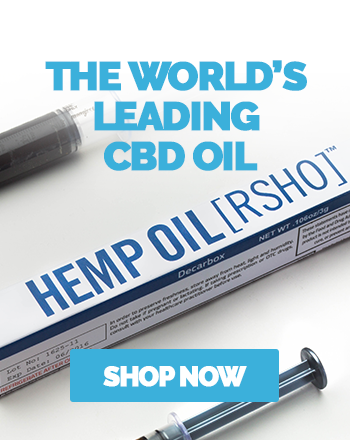 The Medical Marijuana, Inc. online store offers a wide range of methods for using CBD hemp oil, ensuring that you’ll find a supplement that fits your needs and lifestyle. 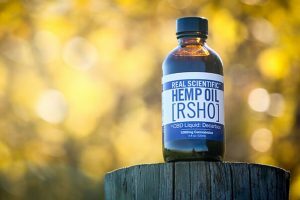 If you are looking to incorporate the highest concentration of CBD into each day, we recommend our line of Real Scientific Hemp Oil™ (RSHO™) pure hemp oils. With up to 120 mg of CBD per serving, our pure hemp oils are minimally processed and come in an easy-to-use oral applicator for measuring a perfect serving each time. You can learn more about our various RSHO™ label options here. Before and after a strenuous workout, rub our CBD topical salves into your muscles and joints. Each 1.3-ounce jar contains full-spectrum CBD hemp oil with 50 mg CBD to revitalize and replenish critical resources and to encourage whole-body wellness. These natural balancing effects encourage peak performance and are why CBD supplements have become increasingly popular among athletes. Our CBD capsules blend convenience and high-quality hemp oil into one. If you are already conscious about following a healthy lifestyle, you probably have supplements and vitamins that you take each day. You can add one of our CBD hemp oil capsules for 25 mg of CBD to further encourage a healthy balance in your diet. If you’re seeking a more portable option designed for periodical use throughout the day, our 1 or 2 ounce hemp oil tinctures are perfect for tucking into your gym bag, computer bag, or backpack and taking with you wherever you go. Our hemp oil tinctures are a favorite choice among CBD enthusiasts, because they blend our high quality CBD hemp oil blended into natural ingredients like stevia, coconut oil, and kosher vegetable for a CBD supplement with great taste. 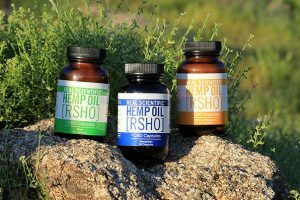 Finally, our hemp oil Liquids from RSHO™ are the most versatile of our hemp oil products. Liquids blend our pure hemp oils into MCT oil derived from wholesome coconut and sustainably sourced palm oil, so they can be easily mixed into your favorite foods and beverages like smoothies, salads, oatmeal, guacamole, or acai bowls. There are many reasons why it’s beneficial to make a CBD hemp oil supplement part of your day. You can learn more about starting out with CBD by visiting our CBD Oil Education page, or get started with CBD today through our online shop.